Billions was built on the principle foundation that those who have the resources to do good, should. If you’re a fellow philanthropist, too, this program will help you to leverage your time and resources in a way that will help you attain your goals for reaching the masses and promoting the greater good. 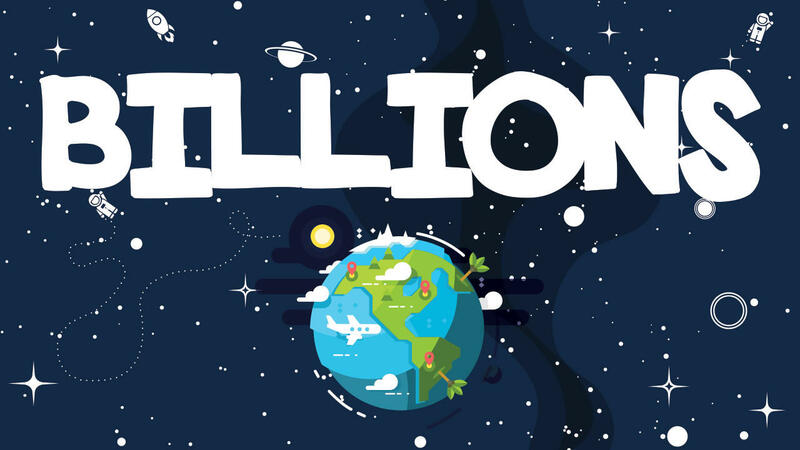 If you’ve got a big heart and want to create big ideas that will positively impact groups of people in need, then the Billions brand is exactly what you need. You’ll strategize concepts that will ultimately allow you to start small and scale big - all the way to one billion. If you’ve got aspirations to change the world for the better and you’re ready to commit to dedicating your life to the greater good, Billions will prep you to impact people whether your audience reside in the health, financial, relationship, or technology niches. You’ll receive monthly online instruction and you’ll have our monthly accountability program at your disposal to ensure that you create the most effective reach possible. Together we’ll meet in Vegas once annually where we will capitalize on the monthly trainings and accountability forums you’ll have completed and participated in. How to become selfless in the pursuit of making a positive impact on the world. You’ll have to hack your mind abolish political beliefs, and focus on a higher calling. Hey - we never said it was going to be easy! Being a fearless leader takes guts. How to develop the right message and know if it’s good for humanity. Not everyone is skilled at knowing what’s best for those around them - after you complete this training you’ll have a solid understanding for how the decisions you make influence those around you. How to design a business model that reflects that of Patagonia, Toms and Google. These brands have built business platforms that allow them to give hundreds of millions of dollars a year to charitable causes they value. Once college kids and dropouts, they’ve beat the odds and built successful businesses representing brands that are respected and admired - and so can you. This program is built to help people create big ideas and learn how to impact their first small group and keep growing to scale with the aspirations of reaching billions. This is focused around entrepreneurs that will dedicate their life fully to impacting a billion people in either health, financial, relationships, and technology.